The TOP853 rom programmer arrived a few days ago and I just had the chance to check it out. Since I run Ubuntu as my primary desktop OS, I thought it would be nice to see if I could get it working there somehow. Unfortunately the programmer is married to a proprietary windows-only software, and installing that under wine was a futile endeavour. I ended up installing a small XP 32bit image under virtualbox. I had to install guest additions, add my user to vboxuser group and reboot to have USB working. I identified the USB device by detaching it and reattaching it and seeing which entry in the list of devices changed in the vbox USB filter settings. 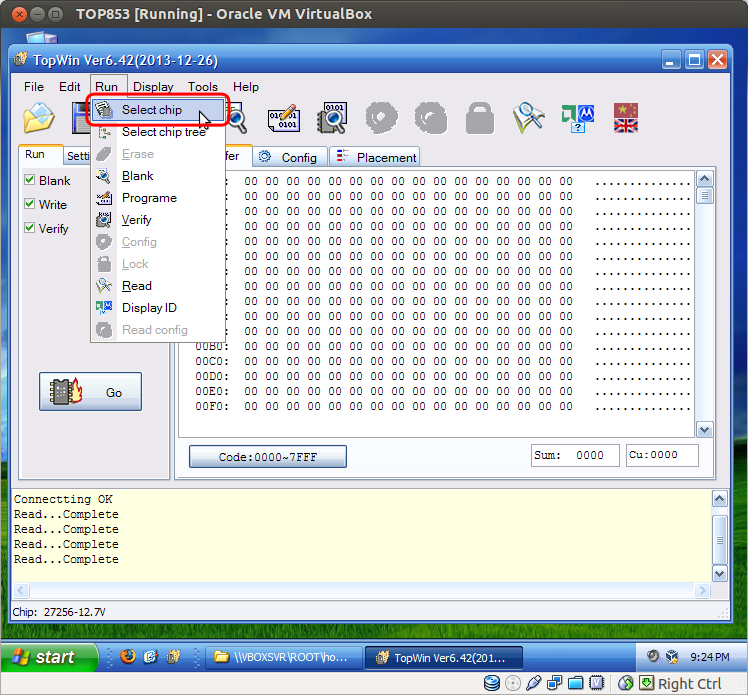 TOP853 running in XP 32bit in virtualbox under Ubuntu.